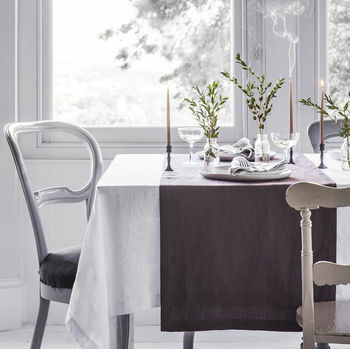 Linen table runner made with 100% pure European linen available in a deep Aubergine colour. Place across the table to combine two place settings, or for a more traditional look, place the runner down the centre of your table. We offer Gift Wrap Service for an additional £5. Your order will arrive neatly wrapped in tissue inside our Signature Gift Box and finished with a ribbon. The Gift Box is of exceptional quality and can store your linens for years to come. 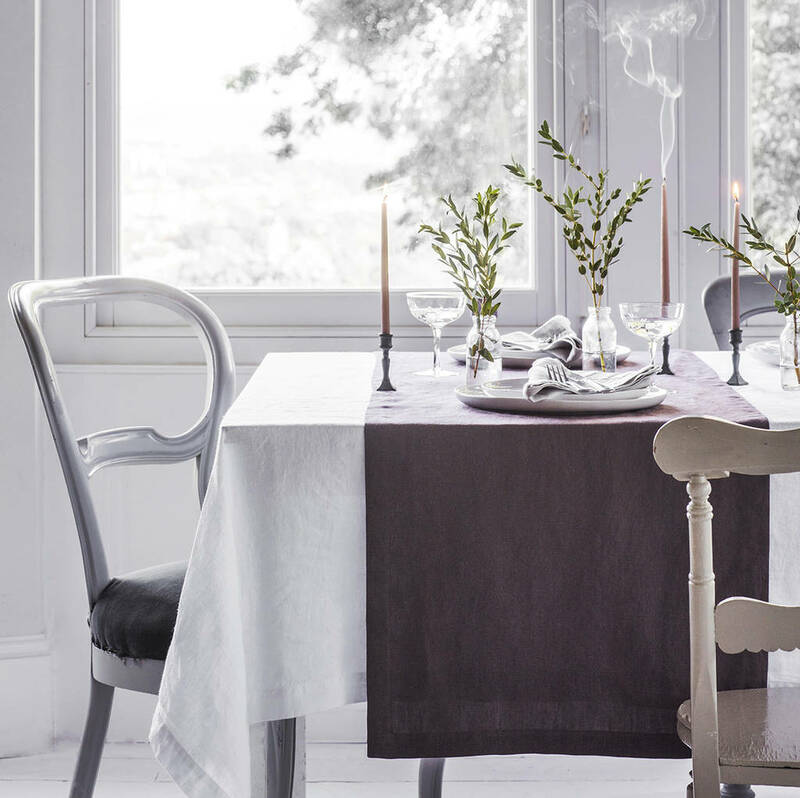 Complete the look with matching Napkins and Tablecloths. 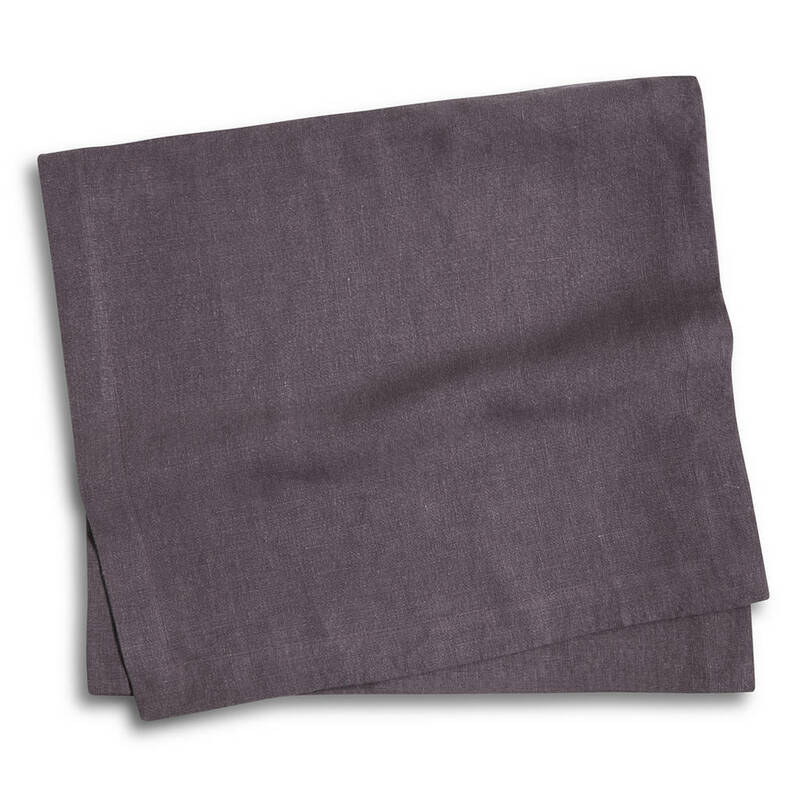 100% Washed Linen. Machine washable. This product is dispatched to you by The Linen Works.